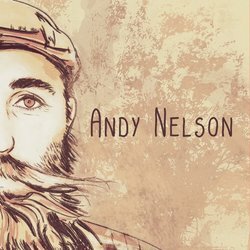 Andy Nelson is a singer songwriter from the town of Bathurst in Central Western NSW. With music having always been an essential part of his life, and after playing guitar only at home, in 2015 at the age of 32 Andy begun sharing his music with audiences. After playing around the central west for 2 years, in 2017 he made to move to leave full time employment and recorded his debut E.P with multi award winning producer Matt Fell at Love Hz Studios in Sydney. Andy sings from the heart with a soulful honest voice, which resembles tones of the likes of Cat Stevens and Ray Lamontagne. With his poetic stories of love, loss and family striking a chord with those who hear, Andy has a rare knack of being able to engage with them through his music, with his passion for the songs being infectious to audiences. In 2018 Andy continues on his journey having supported the likes of The Small Glories & Claire Anne Taylor, being a semi-finalist in the Bluesfest busking competition and playing festivals such as The End at Hill End and The Inland Sea of Sound in Bathurst.